First thing I always do when I come into the studios in the morning is make a cup of tea. 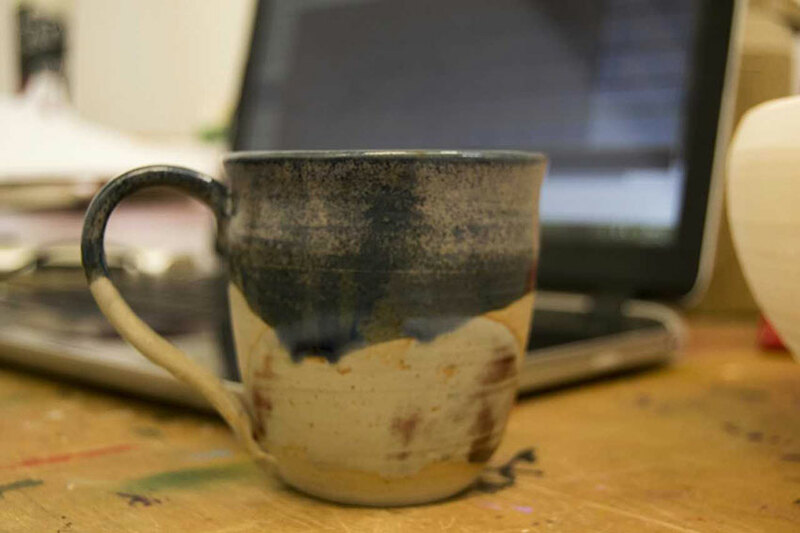 There’s a boiling tap by our studios which enables me to drink copious quantities of tea throughout the day, which is possibly the best thing about Cardiff School of Art and Design (CSAD). Seriously, I LOVE tea! I’ll have a bit of a read and look at what’s going on in the art world – any upcoming exhibitions or events, etc. There’s something going on nearly every day of the week on the art scene in Cardiff, so I’m never short of things to go to or inspiration! Then I’ll get going on my studio practice. On Fine art, we’re taught and encouraged to develop our own independent artistic practice. The tutors are always around to give some advice or help you with anything you need, and it’s so beneficial to me to be given the space to explore the things I’m interested in in my work. 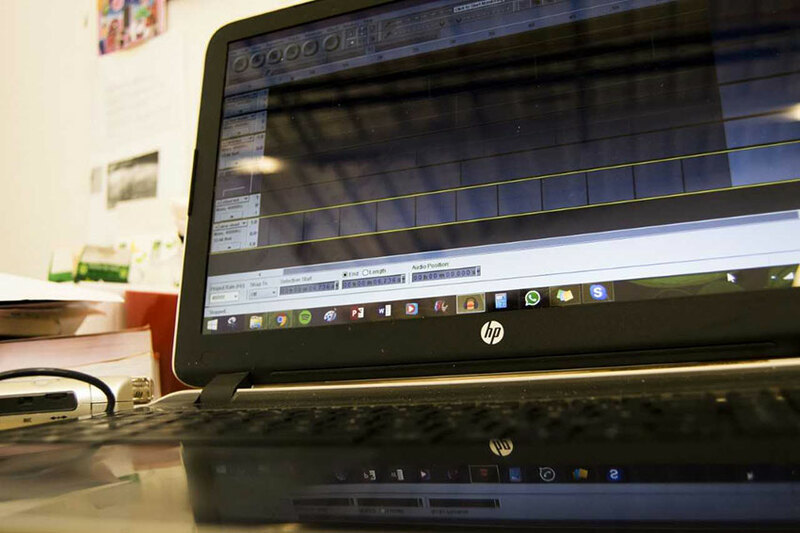 We each have our own studio space as well, allowing us to set up a really good working environment we feel comfortable in. At the moment I’m creating a sound piece for an upcoming exhibition, so I spent my morning editing that. Fine art is about a lot more than just painting! I like to reflect back on my work with a fresh perspective, so I make sure to take some time out to do different things to allow my ideas to evolve. It’s nice as well to take a break and chat with your friends and catch up with what they’re working on. We bounce off each other about creative ideas, but mainly to lark about a bit – I always have a good laugh in Uni! After lunch I had a lecture – ‘Art and the Conscious Mind’. This is part of our field module that we get to pick. There are loads of options available – some of my friends on the Artist Designer: Maker course are studying a module on magical objects and have been making masks, and some of my housemates on Ceramics are creating their own business selling their work. I chose a more lecture based module, and I’ve been learning about consciousness and the way we interact with art and our own minds. The content is really varied: we’ve learnt about Physics, Philosophy, Biology, Buddhism, and even aliens so far. This reflects the way CSAD operates – across disciplines. Often ideas can be restricted by being entrenched in one discipline. Integral to CSAD is bringing ideas from all fields to our attention to give us a more rounded knowledge. After Uni, I popped into town to speak on Pitch Illustration Radio about an event a film I worked on will be screened at. Pitch Illustration Radio is a weekly discussion between creatives in Cardiff, worth a listen! It’s a good way of finding out about creative events as well, and discovering ideas and perspectives new to you. In the evenings, I like to go to art or music events if they are on, but sometimes it’s nice to just have a night in the pub with your friends. Like I said, each day is different and it’s that variety I value so much. My favourite thing about studying Fine Art however is the opportunity to be surrounded by so many creatively minded people, and I am thoroughly enjoying my time here! 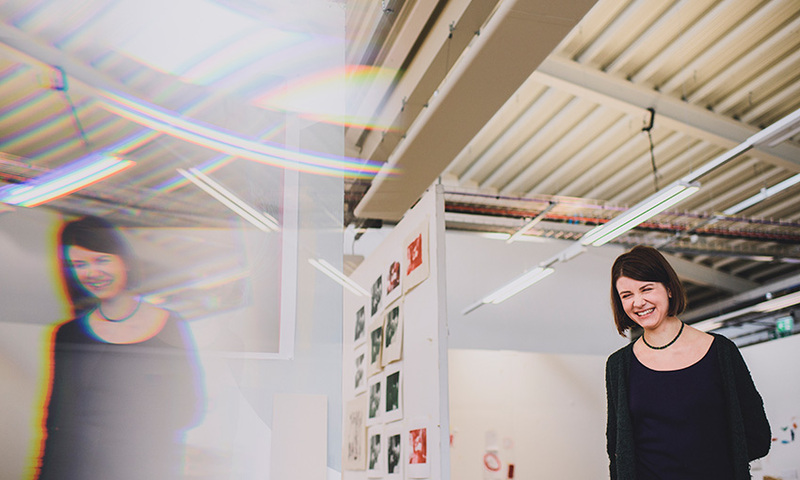 Looking for more on arts courses at Cardiff Met? Check out more blogs from CSAD, or watch video highlights from our 2017 Summer Show below.